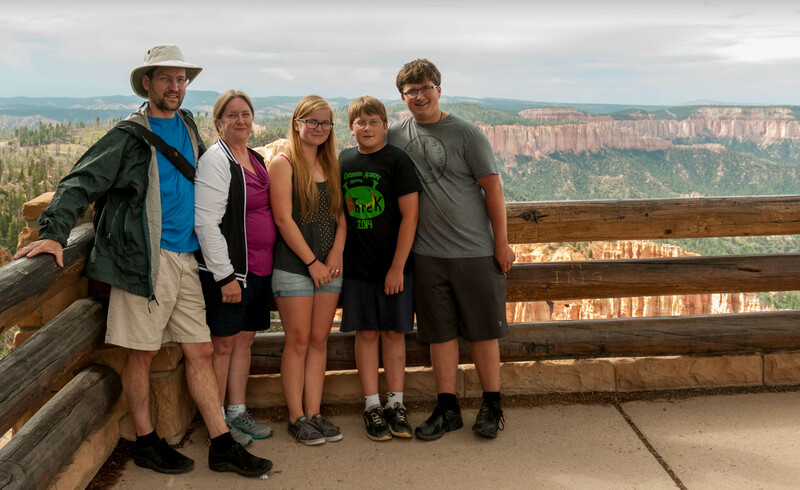 David, Pam, Mara, Andy, and John, at Bryce Canyon National Park in July. Another busy and exciting year for us, with lots of travel. David traveled to India in January, Andy toured the Galapagos with his grandparents, Pam spoke at a medical conference in Hyderabad (India), John sang with his quartet at Harmony University, and the whole family paddled for four days on the Connecticut River. The big family trip, though, was to raft the Colorado River through the Grand Canyon, then explore some of the beautiful National Parks in that region (read the posts beginning here, and check out the photos and an exciting nine-minute video). We spent lots of time outdoors in both New Hampshire and South Carolina. I hope you enjoy the year-end slideshow of highlights, including some of my favorite photos from 2014.